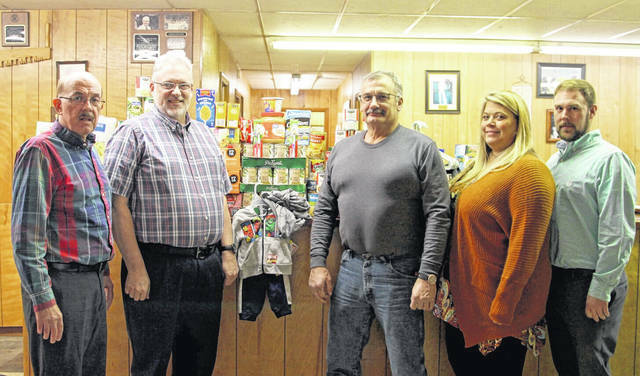 The Mason County Fair Board recently donated to the Mason County Homeless Shelter located in Point Pleasant. Pictured from left are Advisory Council Member and fair representative Brian Billings, Shelter Director Jon Machir, Fair Board Members Shawn Paugh, Nickki Hunt and Matt Roush. The fair board also recently made a donation to the Mason County Animal Shelter.